Treasure Trails have released five new Trails exploring towns in South Wales. Travel from countryside to coast with routes created to challenge even the most weathered problem solvers. Designed for ages from 6 to 106, there’s a new Trail suited to the best sleuths, scavengers and spies, young and old. Embark on a murder mystery Trail exploring Carmarthen County Town, a treasure hunt in Neath and a spy mission Trail on the Aberavon Promenade in Port Talbot as well as more new Trails in South Wales. Explore the bustling centre of Wale’s second largest city on this murder mystery Trail. Follow the circular route as you spot clues and solve mysteries whilst enjoying the restaurants and cafés of the busy shopping centre and cultural aspects of the interesting historic points en route. James Bond wannabe’s will need to spot the clues and solve the puzzles on this spy mission Trail. Explore the pretty seaside town that was once one of Dylan Thomas’ stomping grounds and visit the start of the Gower Peninsular coastline. Journey through the historical town of Neath and hunt for gold on the treasure hunt Trail. Discover the secrets of the town’s Roman roots and encounter an ancient castle along the way. Put on your detective hats and discover whodunit with your friends and family on this murder mystery Trail. The journey will take you on an exploration of the bustling new shopping area of St Catherine’s before heading towards the historical castle and St Peter’s Church. Crack the code on this spy mission Trail as you journey along one of Wales’ longest beaches overlooking Swansea Bay. An ice cream will always help settle any disputes over unsolved clues! Lasting around two hours, the aim is to solve clues on circular and linear routes of approximately two miles incorporating plaques, signs, statues, monuments, images, engravings or any other unique or quirky features found in the area. The Trails cost £6.99 (plus P&P if required), are suitable for groups of up to five and, compared to the average family day out at a theme park or visitor attraction, represent amazing value for money. There are no fewer than 60 Treasure Trails to choose from across Wales with enticing titles like ‘Porthmadog’s Slate Railway Heritage’, ‘The Lost Bells of Aberdovey’ and ‘Presteigne – Gateway to Wales’. 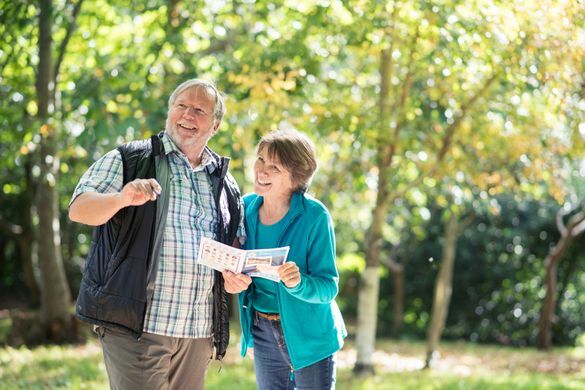 Why Try a Treasure Trail: A fantastic way for families and groups to explore towns, cities and villages across the UK with a self-guided themed walk. Visit treasuretrails.co.uk to find out more and to download one of more than 1,200 Trails across the UK. If you would like to try a Treasure Trail of your choosing please contact Jaimie Poyner to arrange this. Visit the Treasure Trails website for a full list of locations arranged by region and select one the one that appeals. Treasure Trails recently won the Silver Award for the Learning Experience Of The Year at the Cornwall Tourism Awards.